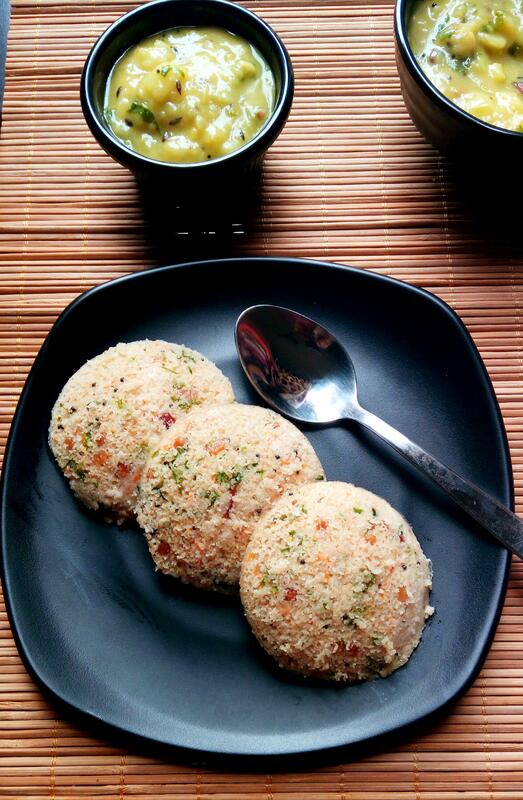 Vegetable Dum Biryani is very popular and rich rice preparation. History says that Dum Biryani was introduced to India by Mughals during their period . Original Biryani is prepared by marinating meat with freshly ground spices and cooked on a woodfire in an earthenware .Veg Dum Biryani is an adapted recipe by replacing meat with Vegetables for Vegetarian Community . Biryani is something which I cook with all love and patience ,as it takes some gud time of 90 minutes to get a perfect Dum Biryani. As I eat non vegetarian ,I prepare different varieties of Biryani like Donne Biryani ,Dum Biryani, Muslim Biryani ,Ambur Star Biryani and many more from Chicken ,Mutton and Fish. Veg Dum Biryani is cooked only when my Vegetarian friends are invited for Lunch 🙂 Or else Vegetable Pulao or Vegetable Bath is what I end up doing. This dum biryani recipe credits to Swasthi Recipes. To make a perfect biryani ,first thing you should note is the quality of rice grain and spices.Always choose a good quality aged long grain basmati rice and premium quality spices. Next is cooking that rice perfectly ,such that each grain is separated well. Selection of veggies also plays a important role in Veg dum Biryani Preparation. Vegetables like Carrot ,French Beans , Cauliflower ,Green Peas and Potato are the only vegetables that are recommended in the preparations of Vegetable Dum Biryani.Other vegetables like Mushroom ,Capsicum are used as per their preferences. But ,I personally do not like capsicum in Biryani ,as I always feel it spoils the taste of Authentic Dum Biryani . One more key while creating a perfect biryani ,is the Biryani Masala Powder . It’s just blend of spices ,and it adds flavour and aroma to the Biryani. You can either get it from stores or freshly blend it at home – Homemade Biryani Masala Powder. Wash and rinse rice grains well 3-4 times,till water runs clear.Soak it in water for 30 minutes. Soak 5-6 saffron strands in 1/4 cup of hot milk /water , let it sit for few minutes. In a kadai /pan ,heat 1-2 tbsp ghee /oil ,fry raisins and cashews . Keep it aside. IN the same kadai/pan ,fry onions till brown and crisp. Take care not to burn. Keep it aside. It's used while assembling the gravy and rice layer. Whilst,wash and clean all vegetables ,slice onions ,slit green chilies lengthwise, cut carrot into circles ,french beans of 1 " inch in length ,cauliflower medium-size florets and medium-sized potato chunks. Prepare ginger garlic paste from one 1 1/2 inch ginger and 10-12 garlic cloves ,and keep it aside. In a pressure pan or heavy bottom vessel ,heat 4 Tbsp ,ghee /clarified butter , add all whole spices and fry till aromatic. Add sliced onions , fry well till it turns brown. Add ginger garlic paste, fry well till raw smell vanishes. Add slit green chillies , all chopped veggies ,fresh /frozen green peas and saute for 3-4 minutes. Add turmeric powder ,red chilli powder , biryani masala powder and fry well. Add 3/4 cup curds and mix well. Close lid and cook till all vegetables are cooked ,it may take around 8-10 minutes. Open the lid , add salt , 1/4 cup curds ,1 Tbsp chopped coriander leaves , 2 Tbsp of mint leaves and mix well. Set aside half portion of the vegetable mix. Bring 6 cups of water to boil, add whole spices ,1 tsp of oil , 1 tsp of salt and soaked rice. Cook for 6-7 minutes ,such that it is only 70 % cooked. It should be undercooked from inside. Drain water ,rinse with cold water ,drain water completely and spread it on a large wide plate. Now spread half of the parboiled rice over the vegetable gravy , sprinkle 2 pinches of biryani masala powder , 1/2 tbsp coriander leaves ,1 tbsp of mint leaves ,half of saffron milk ,1/2 tsp lemon juice. Now again repeat the above step by adding vegetable gravy followed by parboiled rice , fried raisins and cashews , torn mint leaves ,coriander leaves , saffron milk , lemon juice and biryani masala powder. Cover biryani and seal it with atta or aluminium foil. Heat iron griddle on high heat and place the biryani vessel over it. Place a huge vessel filled with water above the biryani. Simmer the flame and allow it cook on dum for 30-45 minutes. 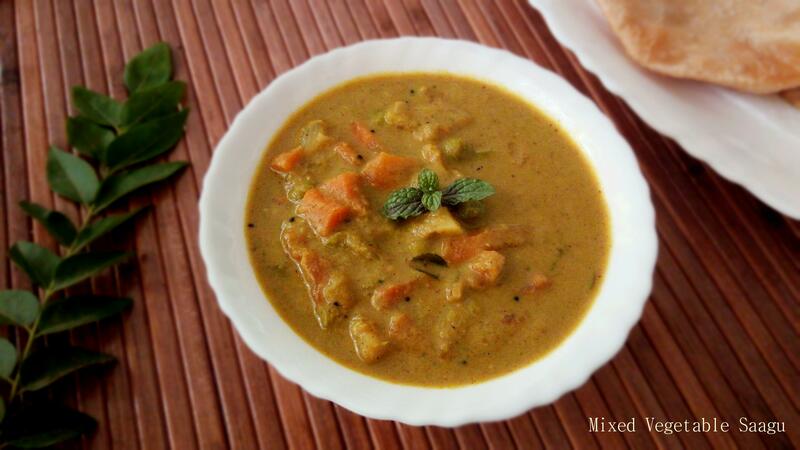 Serve it hot accompanied with onion tomato raita or onion cucumber raita of your choice and gravy. In a kadai /pan ,heat 1-2 tbsp ghee /oil ,fry raisins and cashews . Keep it aside. In the same kadai/pan ,fry onions till brown and crisp. Take care not to burn. Keep it aside. It’s used while assembling the gravy and rice layer. Whilst ,wash and clean all vegetables ,slice onions ,slit green chilies lengthwise, cut carrot into circles ,french beans of 1 ” inch in length ,cauliflower medium-size florets and medium-sized potato chunks. Prepare ginger garlic paste and keep it aside. In a pressure pan or heavy bottom vessel ,heat 4 Tbsp ,ghee /clarified butter , add all whole spices and fry till aromatic.Add sliced onions , fry well till it turns brown. Add 3/4 cup curds and mix well. Close lid and cook till all vegetables are cooked ,it may take around 8-12 minutes. Open the lid , add salt , remaining curds , 1 Tbsp chopped coriander leaves , 2 Tbsp of mint leaves and mix well. While preparing gravy parallely , bring 6 cups of water to boil, add whole spices ,1 tsp of oil . Add 1 tsp of salt and soaked rice.Cook for 6-7 minutes ,such that it is only 70 % cooked.It should be undercooked inside. Drain water ,rinse with cold water ,spread it on a large wide plate. Now spread half of the parboiled rice over the vegetable gravy . Sprinkle 2 pinches of biryani masala powder , 1/2 tbsp coriander leaves ,1 tbsp of mint leaves ,half of saffron milk ,1/2 tsp lemon juice. Heat iron griddle on high heat and place the biryani vessel over it. Place a huge vessel filled with water above the biryani. Simmer the flame and allow it cook on dum for 30 minutes.